Home Mission STI - 2015 Mission STI – अभ्यास कसा करावा..? असा अभ्यास करावा तरच आपणास यश मिळू शकेल या मागील काही करणे मी मागील संवादामध्ये दिलेले आहेत. अगदीच पहिल्यांदा हा लेख आपण वाचत असाल तर याआधी हे दोन लेख नक्की वाचा. ९० प्रश्न सोडवले आणि यातील ६३ बरोबर आणि २७ चुकलेत तर आपला स्कोर – ५६.५ पर्यंत येईल. ८५ प्रश्न सोडवले आणि यातील ६१ बरोबर आणि २४ चुकलेत तर आपला स्कोर – ५५ पर्यंत येईल. ८० प्रश्न सोडवले आणि यातील ६० बरोबर आणि २० चुकलेत तरीही आपला स्कोर – ५५ पर्यंत येईल. ७५ प्रश्न सोडवले आणि यातील ५९ बरोबर आणि १६ चुकलेत तरीही आपला स्कोर – ५५ पर्यंत येईल. १. मुळात ७०-८० मार्क्स च्या perfect अभ्यासावर आपण परीक्षा उत्तीर्ण करू शकतो. २. ६० मार्क्स जर आपण confirm असू तर त्या उपर समतोल प्रमाणात आपण रिस्क घेण्यास सक्षम असतो. यात कोणता विषय वगळावा हा वयक्तिक प्रश्न आहे. पण याचा फायदा यामुळे आपल्याला प्रत्येक विषयामागे जास्त वेळ अधिकीचा मिळेल. ही खूप विचार पूर्वक निवडलेली strategy आहे. Don’t worry..! १७ जानेवारी – ३१ जानेवारी – current + practice. + प्रश्नपत्रिका सोडवा. – यात प्रत्येक विषयासाठी १० दिवस + १ दिवस revision साठी असा अवधी आहे. – आपल्या पद्धती प्रमाणे अभ्यास करा लिहिण्यात कमी वेळ घालवा. – दिवसाचे व्यवस्तीत नियोजन असू द्या. जास्तीत जास्त अभ्यासावर लक्ष द्या. आम्ही आपणास current आणि प्रश्नपत्रिका यांसाठी वेळेवेळी मार्गदर्शन करूच…त्याच प्रमाणे विषय वार मार्गदर्शन देखील करू..
तेव्हा आमची अभ्यास strategy करून पहा नक्की फायदा होईल. sar.mala police bharti karaychi aahe. mala study che niyojan pahije.and ground test chay tipas pahije. 2017/18 la honari police bharti. Sir….mala upsc chi tayari karaychi ahe…. Mazhi aatach tayari chalu zhali ahe …..
Tar mi konti books vachu ….mhanje suruvat kasha pasun karu…..
Will Be Soon Launching a Separate platform for UPSC Studies. Thanks for guidance, yenari 2017 chi STI/PSI mla kadaychi ahe, me sadya job krto ahe tyamule wel kmi milto, kmi welet mnje rojche morning 2 hr / evening la 2 hr tasch dewu shkto tr strategy base planning study me kshi krawi ya sati mla help kra please sir….. ani book material kont lagel te pn sanga please sir.. Try Utilise Maximum time efficiently. Don’t wait for the exam instead study for the whole year. That May help. Mpsc chi tayari kashi karavi ? 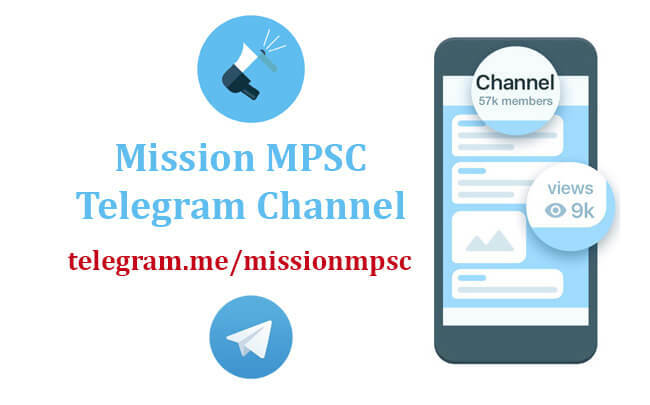 How to study complete in some days..
Stay Tune With MissionMPSC Soon we will upload proper strategy for upcoming exams. Comment: Sir me sti chi tyari krt ahe.maz b.sc complete ahe ani mazi 10th la ATKT hoti tr tyacha kahi problem hoil ka mpsc mdhe ??? sir mi ata first yr bsc kartoy adhich maze 2 yr down zalet mi yshvntrao opn uni. madhye second yr ba la addmsn ghetle ahe….mla mpsc chi taiyyari karychi ahe …tr mi bsc cmplt karu ka mpsc che class lavu…..
Sir, mala 2017 chi STI exam dyaychi ahe.. maza 4 months zale abhyas chalu ahe mala STI exam 1 yr madhe clear karaychi ahe tyasathi purn mehnat ghyayla tayar ahe …. mala tyasathi proper guidance chi garaj ahe plaz tumhi mala madat kara…. tyanusar mala lagechstudy karta yeil ….. plz reply sir…. Kon konta subject sathi .kon konte book use karave ..sanga..
Sir, mi Asst. Section Officer cha form bharla ahe, tyachsathi preparation kas karav? pls sir guide karal ka? धन्यवाद अनिल…! जास्तीत जास्त मित्रांना आपल्या साईटबद्दल माहिती द्या. What i want to say i dont know…but .. if u taken a perticular subject for study.. do study like…will not remain any part of the subject. Just try with perfectness. And i wolud like to heartly thanks to creater if this pages and all guirdian . Who put the huge effort to create this simple way of stratergy…… realy sir… i feel very helpfull information. Thank you soooo much. Sir thank you so much,ek agla wegla v dheyane prerit houn dheyala khechun aan nara upkram aapn rabawt ahat ..really so nice of you .Thanks .. Thanks alot sir. …study khup karte mi …pan tension hi khup ast..maths n logical che practice hot nh..
STI pre sathi prachin itihasachi tayari garjechi Nahi na ?? Syllabus अनुसार त्याची गरज नाही. Thank you Sir, It is very helpful. Sir tumchya planner mule majhe ardhe tension gele, thank you so much sir! Tarihi ek ajun mothi shanka aahe ki nakki notes banwayche kase mhanje rivision chya veles pratek pustak kadhun vachne shakya hot nahi aani market madhye awdhi books aahet ki nakki kashatun notes kadhayche aani tyat velahi kiti jaail karan mala november madhye yenari STI chi exam dyaychi aahe, mhanjech ekandar abhyas kasa karava? Krupaya hyache uttar lavkarat lavkar dyave mhanje tya pramane mala abhyas suru karta yeil. Sir STI sati darjedar Papar set konata ahe ka ? आयोगाच्या वेबसाईटवर जुन्या प्रश्नपत्रिका उपलब्ध आहेत. स्टडी सर्कल, युनिक सारख्या अनेकांचे प्रश्नपत्रिका संचसुद्धा बाजारात उपलब्ध आहेत.